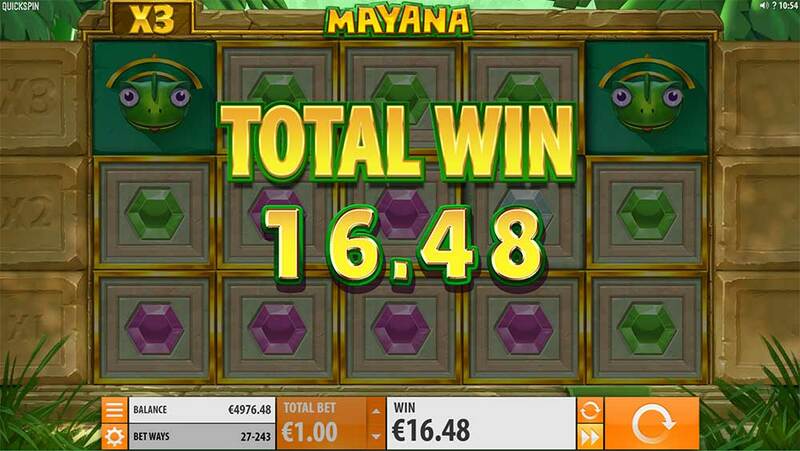 Mayana Slot – A New Jungle Themed, Expanding Reel Slot with Multipliers From Quickspin! 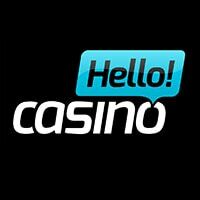 Casumo Casino has recently added the latest Quickspin slot titled Mayana to their casino along with several other new titles which include Dragon Palace (Lightning Box Games), Prosperity Palace (Play’n GO) and Halloween (Microgaming). 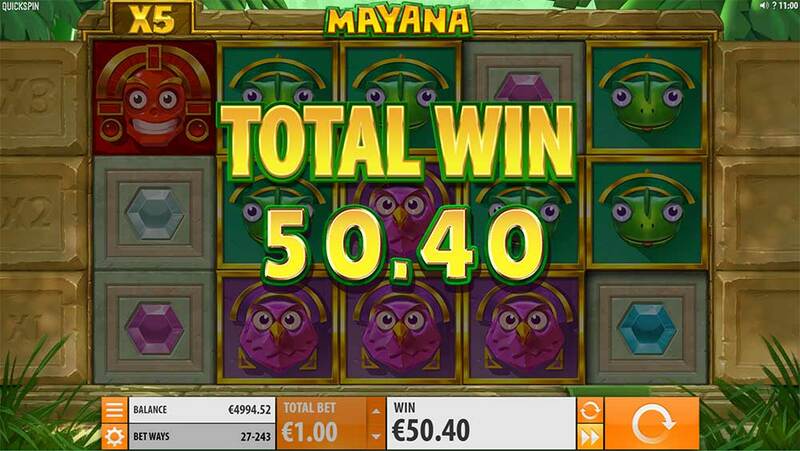 Mayana is an unusual jungle themed slot that uses a regular 5×3 reel layout but initially, starts as a 3×3 grid with a pay any way payline structure that starts as a 27 ways machine but as the slot unlocks on each re-spin this rises into a 243-way slot when fully unlocked. Matching 3 or more symbols on adjacent reels grants a respin of the reels and parts of the previously covered areas of the slot are removed giving additional areas in which to find other matching symbols and increasing the number of paylines, if further matching symbols are found on the re-spin then the process continues again. 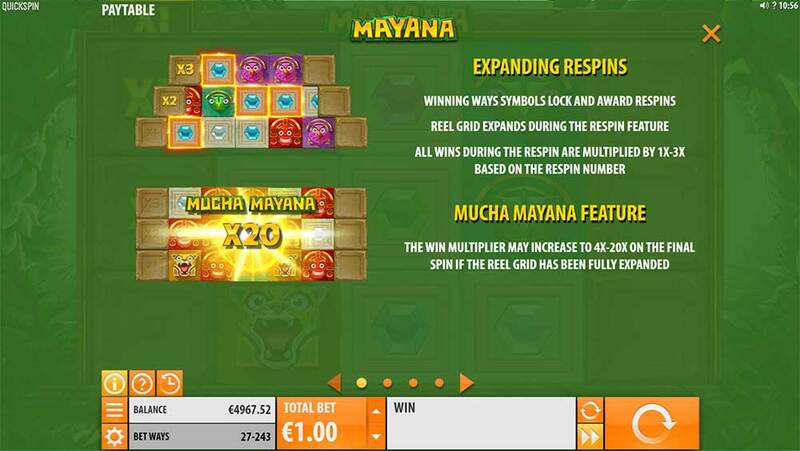 The interesting part to this slot along with a rising multiplier up to 3x on the re-spins is the chance of the special Mucha Mayana Feature activating on the final spin which can grant an additional multiplier value to the win of up to 20x which can really help to boost the win. 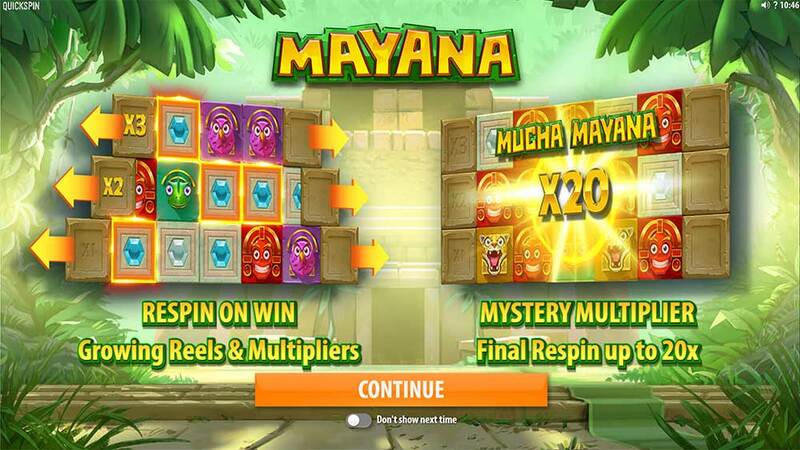 There is no bonus round on offer in Mayana, instead, the action comes thick and fast in the base game with multiple re-spins and rising multipliers being the main features. Check out the gameplay video below which showcases the expanding reels, rising multipliers and the Mucha Mayana Feature in action. 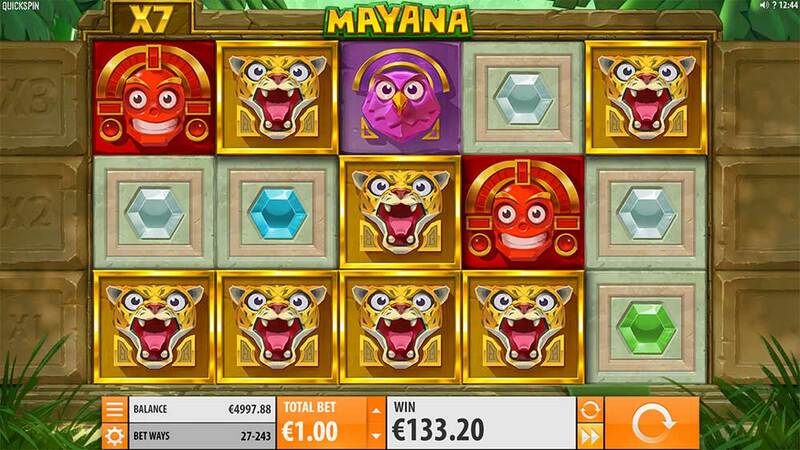 With no main bonus round as such Mayana instead offers simplistic fast gameplay in the main game, with frequent re-spins, rising multipliers along with an expanding set of reels that starts as a 3×3 grid (27-ways) and can fully expand into a 243-way 3×5 reel slot machine. 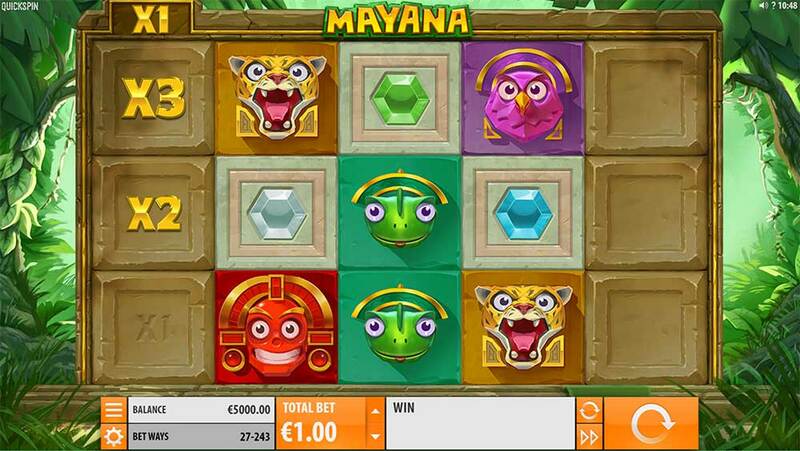 Mayana is an interesting and simplistic slot release from Quickspin, with no main bonus round on offer the base gameplay is fairly interesting with frequent re-spins and rising multipliers although we definitely did see some very dry spells in the base game too. Once several matching symbols have landed on the reels the pays do seem to rise up rapidly and with the addition of the Mucha Mayana Feature, this could produce some very big wins. In our playtests, we managed several wins over 50x stake with the maximum hit being just over 100x when a 7x multiplier was awarded to a matching stack of high paying symbols. Overall an above average release from Quickspin but we personally enjoy slots with a bonus round much more where bonus features really add to the games excitiment and win potential.